No matter how fantasy strategies change, one thing remains the same: touchdowns are king. 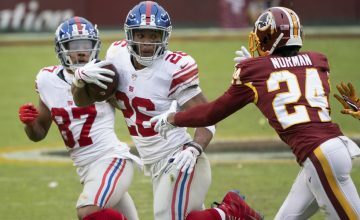 Yards and receptions are a solid base, but finding the end-zone is how a player can truly put himself in the conversation as an elite fantasy option. Just look at Julio Jones as an example of how heavily touchdowns can influence a player’s value. In 2016, Jones caught 83 passes for 1,409 yards and six touchdowns. Entering last season, Jones ranked sixth overall on ESPN’s standard rankings. That season, Jones caught 88 passes for 1,444 yards and three touchdowns. The lack of red-zone action has changed the narrative on Julio to “inconsistent” and “not a red-zone target.” As a result, his 2018 ADP sits in the second round. The best way to find production is through players who have a nose for the end zone. 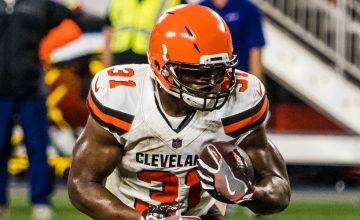 Here are six players that could have great value based on their production and target-share near the painted grass. 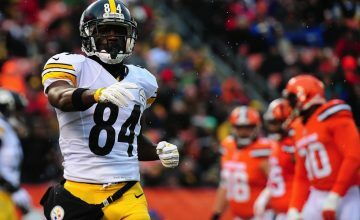 Can you tell me which receiver had more red-zone targets than Antonio Brown, Rob Gronkowski, and DeAndre Hopkins? This receiver also had a larger red-zone target share than Travis Kelce and Mike Evans. If it wasn’t obvious, Cooper Kupp is the receiver you’re looking for. Kupp had a solid rookie year in the Rams reinvigorated offense. On 94 targets, Kupp caught 64 passes for 869 yards and five touchdowns. His 23 red-zone targets were good for fourth in the league, while his 27.1% red-zone target share was good for ninth. While the addition of Brandin Cooks won’t help his targets between the 20s, his role as a short yardage receiver should remain the same. Kupp’s current FantasyPros ADP is at 88 (WR35), which is around the seventh round of 12-team drafts despite finishing last season as WR27. I’m betting on Kupp improving on his second year and building on his 56 percent catch rate from inside the 20. Any other player that garners this much red-zone attention drafts well before he is. In the seventh round, Kupp is well worth the investment for a player that could be Jared Goff‘s preferred end-zone threat. I know, I know. Reed can’t catch any touchdowns if he’s not on the field. Reed is a TE that owners will need a handcuff for, but will be in for a good year if he can stay relatively healthy. Pre-season surgery to remove a bone in his foot reportedly has him feeling “100 percent better” than he did last year. Talent is never in question with Reed. When healthy, he is one of the best red zone weapons in the league. In 2015, he was targeted 23 times in the red zone and caught 11 touchdown passes in 14 games. Jay Gruden’s offense heavily emphasizes tight ends, which should make new starting QB Alex Smith feel right at home. Over the past two seasons, Alex Smith targeted Travis Kelce 39 times in the red zone. Smith doesn’t throw deep very often, and Reed should see plenty of action with Smith at the helm. 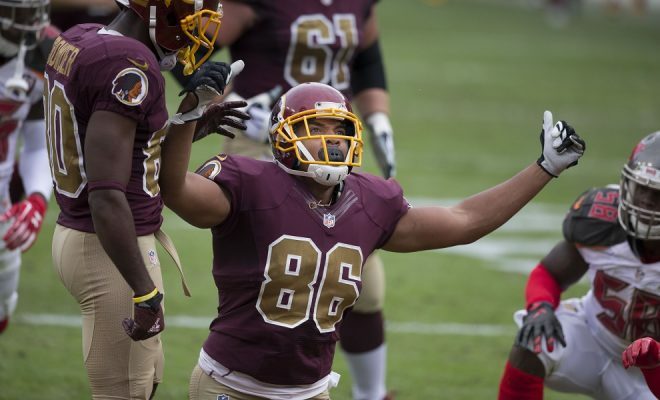 The Redskins are well aware of Reed’s injury history and will give Vernon Davis plenty of reps. When healthy, Reed received 16% of the red zone target shares. In order to keep him healthy, Washington may use him as a red zone specialist. This will play to his strengths and keep him on the field for a full season. At last, we come to the first and only running back on this list. Mixon is tabbed to be the starter in Cincinnati but will be sharing duties with Giovani Bernard. I believe that many owners are underestimating the impact that Bernard will have on Mixon’s touches. However, we know where Bernard’s strengths are, and this is where Mixon can make his living. With Bernard better suited to passing down work, Mixon will be given the bulk of the carries in the red zone. Mixon carried a heavy percentage of the goal line work last season, even with Jeremy Hill in the picture. Mixon toted 78.3 percent of the team carries inside the 10, leading the league in that category. He also received 85 percent of the carries inside the five, trailing only Todd Gurley. With another year of experience under his belt, Mixon should see even more carries inside the red zone. The Bengals have also made moves to improve their offensive line, which should improve Mixon’s conversion rate close to the end zone. With a nickname like Rudolph the Red-Zone Reindeer, how could I not include him on this list? Two years removed from being the most targeted TE in the league, Rudolph is due for a huge boost in total targets and red-zone looks. Kirk Cousins is very successful when targeting tight ends. Specifically, when passing out of two TE sets, Cousins was the most efficient QB in the league. New offensive coordinator John DeFilippo is no stranger to talented tight ends either, turning Zach Ertz into one of the most dangerous weapons in the league. While Rudolph finished outside the top 20 in total red-zone targets, his efficiency more than makes up for it. On 16 targets inside the 20-yard line, Rudolph had an 88 percent catch rate, which led the league among players with 10 or more targets. On passes inside the 10, he had an 89 percent catch rate. Rudolph makes his living in the red zone. With a new offense around him, he is in the perfect position to improve on last years numbers. Allen started 2017 out slowly, scoring just one touchdown in his first nine games. He turned things around in the final seven, scoring five touchdowns. Now, with Hunter Henry and Antonio Gates out of the picture, Allen will be options one, two, and three for Philip Rivers in the red zone. Allen was second in the league in red-zone targets last season. His 24 targets put him just behind Jimmy Graham, while his 33.3 percent target share was good for third. Gates and Henry combined for 23 red zone targets last year, the majority of which will now go to Allen. If he stays healthy, Allen will push double-digit touchdowns, in addition to his 100 receptions and 1300 yards. Even in the second round, Allen may be slightly undervalued because of his checkered injury history.